November may be Alzheimer's Awareness month, but every month is a great time to spread awareness. Show your support by wearing this eye-catching t-shirt that is dedicated to spreading AD awareness. 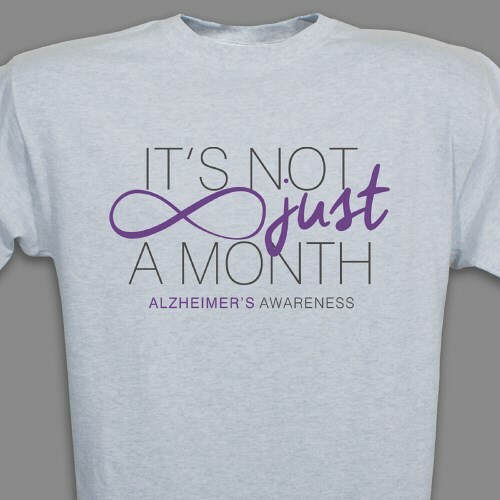 This alzheimer's awareness design is available on our premium, 100% cotton t-shirt. Our ash gray shirts are machine washable and available in youth sizes XS-L adult sizes S-3XL.